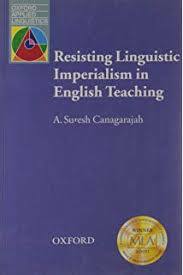 English Language Imperialism in the Islamic World research papers discuss arguments given in support and rejection of english as the international languag. English Language Imperialism in the Islamic World Research Paper Topic provided by Paper Masters. This research paper includes arguments in support of English as an international language. The research paper also argues in not supporting English as an international language. Section 1: The Relationship between Culture and Language. This section will consist of 3 pages and a minimum of 7 references. The idea for this section is to expand on the notion that a language is a part of culture and a culture is a part of language; the two are intricately interwoven such that one cannot separate the two without loosing the significance of the either language or culture. Hence, language is an insight into or representation of culture. Kramsch says: Social change occurs slowly, but inevitably at the edges of dominant cultures. This is true also of the change that we might want to bring about by teaching people how to use somebody else's linguistic code in somebody else's cultural context. Teaching members of one community how to talk and how to behave in the context of another discourse community potentially changes the social and cultural equation of both communities, by subtly diversifying mainstream cultures. Section 2: Arguments in support of English as an international language This section will consist of 7 pages and a minimum of 15 references. It should cover the following issues: English as a tool for communication, English as the language of technology, commerce, diplomacy, international education, etc., English as the repository of high culture: the language of Shakespeare, etc. Please also include as many details and examples as possible of the use of English within the Islamic and Arab world. However, do not discuss the cases of Iran, Lebanon, India and Malaysia but use other countries. Section3: Linguistic and cultural imperialism This section will consist of 3 pages (minimum 7 references) and will be a general discussion on the issue. Keep in mind that this section is the first of a chapter that is to introduce Teaching English as a Missionary Language (TEML) and then Globalization and its effects on the Islamic world. Paper Masters writes custom research papers on English Language Imperialism in the Islamic World and discuss arguments given in support and rejection of english as the international languag.